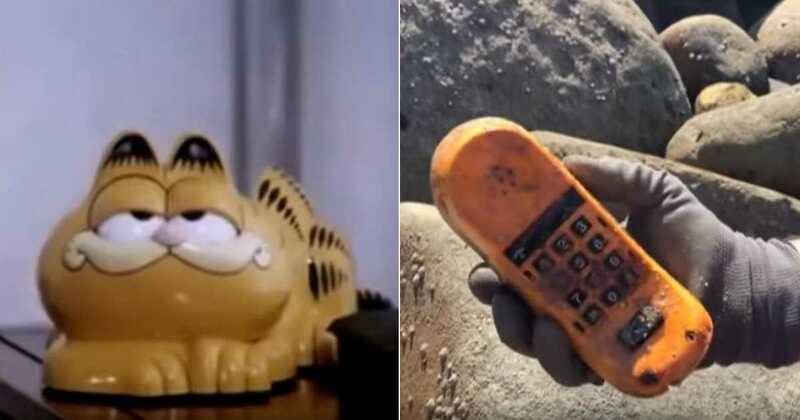 KFSM TV posted For 35 years, Garfield phones kept washing ashore in France. Now the mystery has been solved. Now the mystery has been solved: The cat-shaped phones are coming from a long-lost shipping container, reports the BBC.